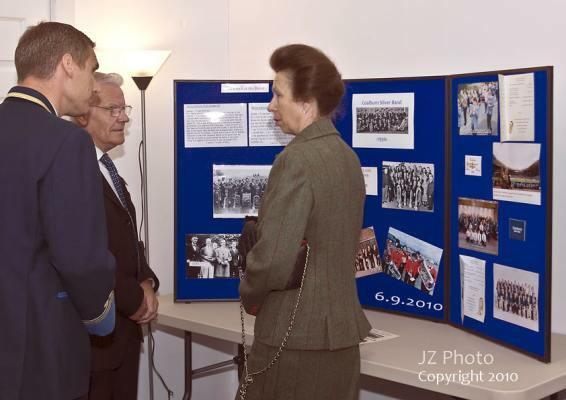 On Monday 6th September, 2010, HRH The Princess Royal officially opened the renovated Coalburn Silver Band Hall. She also unveiled a plaque to commemorate this event and signed the band's new guest book. Peter McLeish, Chairman of the Jim Hamilton Heritage Society of Coalburn, was on hand to present a history of the band. 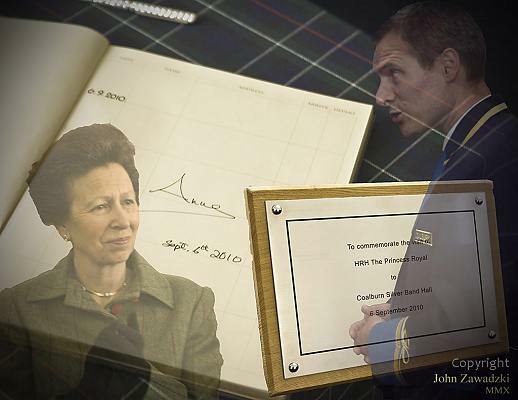 The Princess Royal, her signature in the new visitors' book, the plaque marking the special occasion and Alan Court.